Platform Support | Primate Technologies, Inc.
Primate's software solutions are designed to optimize performance on many surfaces. 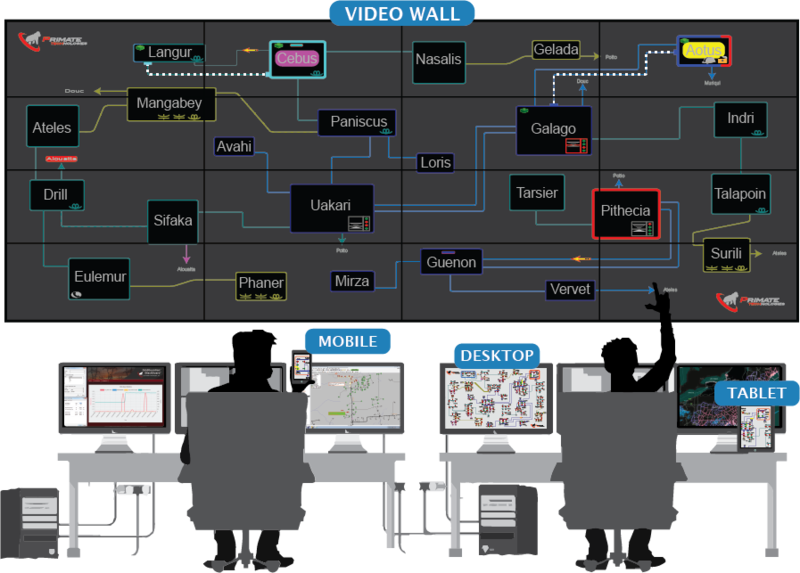 Displays are designed so that situational and operational data us even visible on smart phone and tablet browsers. This allows the control room operators, dispatchers, support staff, and the executive management team have access to critical information. Primate believes customers deserve practical and affordable solutions that assist them in performing their job with greater confidence and more efficiency. Primate is agnostic regarding customers' choices in visualization hardware. We sustain platform Independence, using the financial and resource investments customers have already established and embraced.